SANTIAGO, CHILE (September 13, 2017) – Chilean President Michelle Bachelet committed on September 11th to create a new marine protected area in Admiralty Sound in Tierra del Fuego. The new “Multiple Use Marine and Coastal Protected Area Seno Almirantazgo” will safeguard rich marine wildlife and the area’s rich cultural heritage, while protecting artisanal fisheries and promoting sustainable tourism. The Sound, along with two other Marine Parks –Francisco Coloane and Cape Horn- will become the core of a network of MPAs for the Magallanes Region. Admiralty Sound is a spectacular, 80-km long fjord adjacent to Karukinka Natural Park, a large protected area owned and managed by the Wildlife Conservation Society (WCS). The newly declared protected area contains leopard seals, elephant seals, black-browed albatross, Magellanic penguins and other wildlife. The announcement was made during the 4th International Marine Protected Areas Congress (IMPAC4) hosted by Chile. President Bachelet announced plans to protect 46 percent of the Exclusive Economic Zone of Chile. Seno Almirantazgo was first proposed as a protected area by WCS Chile to the Ministry of the Environment in June 2017. This followed a decade of collaborative research, education and conservation work integrating multiple stakeholders in its design. The protected area has the support of the Governor of the Magallanes Region, the regional representative of the Ministry of Environment, the local governor of Tierra del Fuego, communal authorities of Timaukel and Porvenir, local fishing unions, and Karukinka neighbors. The area is in need of protection. Two introduced mammals threaten the biodiversity of the fjord: the beaver, which builds dams in the rivers and streams of Tierra del Fuego, destroying forests and altering watercourses that reach the sea; and mink, which feeds on seabird eggs and chicks, with a high impact on the albatross colony of the Albatross Islet, the only known colony that nests and feeds in inland waters. In addition, the Sound, acting like a funnel of sea and wind, receives tons of marine debris including plastic bags, ropes, nets, and bottles, where it negatively impacts both marine life and tourism. At the same time, unregulated tourism can be a serious disturbance to natural life, causing abandonment of nests and migration of colonies to more protected sites, with serious consequences in their conservation. By protecting Seno Almirantazgo, the Chilean Government is officially launching the Magallanes Network of Marine Protected Areas, first announced in 2015, which is expected to expand across the Patagonia region. The MPA network will enable Chile to meet its target of protecting 10 percent of relevant ecosystems by 2020, a goal in keeping with the Aichi Targets. While Chile’s marine protected areas already span 13 percent the ocean under national jurisdiction, some ecosystems are under-represented. For example, the Channels and Fjords Ecoregion of Southern Chile – the most pristine of the country – has less than 1 percent of its seas protected. The Network of Marine Protected Areas for Patagonia is a collaborative effort leaded by the Government of Chile and involving the work of various organizations including WWF, Fundación Huinay, Fundación Meri, Centro Ballena Azul, National Geographic’s Pristine Seas Program, and WCS Chile. 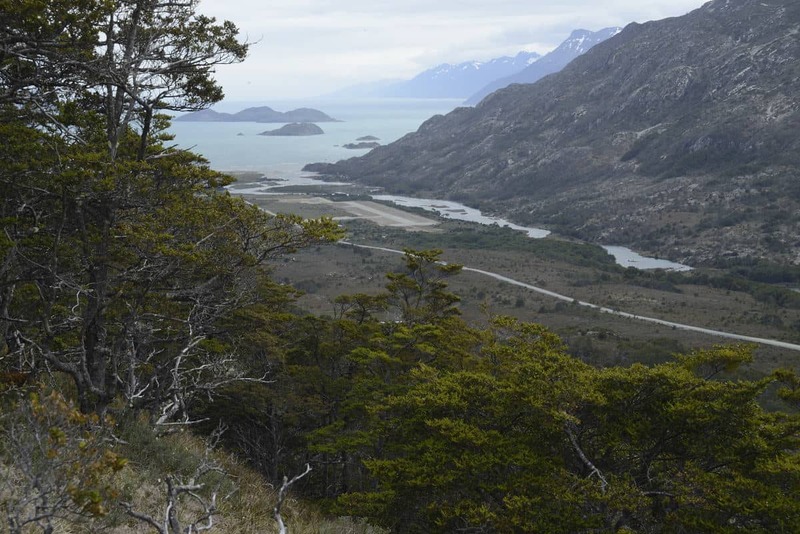 With a strong presence in Chile for more than a decade, WCS develops Tierra del Fuego’s largest private conservation project in Karukinka Park, and has built collaborative relationships with government, private sector and local communities. Since 2009, WCS Chile has been working on the coast of Patagonia using science as the basis for the management and sustainable use of biodiversity and its ecosystem services, based on an integrative vision for marine conservation in the Southern Cone of South America. These efforts have been generously supported by the Waitt Foundation, which has also supported the establishment of the WCS MPA Fund to assist countries worldwide in creating new marine protected areas in fulfillment of the United Nations goal to protect 10 percent of the oceans by 2020.